The newest trailer for The Lion King has finally arrived, showcasing a number of classic Disney Renaissance characters brought to life in a photorealistic format. Director Jon Favreau puts the skills that he learned while remaking The Jungle Book to full use in bringing the world of Pride Rock to life. Set to Hanz Zimmer’s update of the classic score to the 1994 film that made him a household name, the newest The Lion King trailer reveals a vast majority of the cast as they appear beyond the “Circle of Life” scene that was the focus of the teaser. Several iconic scenes from the original are recreated in CGI as the remake arrives 25 years after the original, set to tell Simba’s iconic story to an entirely new generation… Along with those who grew up with the original film. There’s also confirmation that, as in the original film, Timon and Pumbaa will sing “The Lion Sleeps Tonight” by The Tokens. 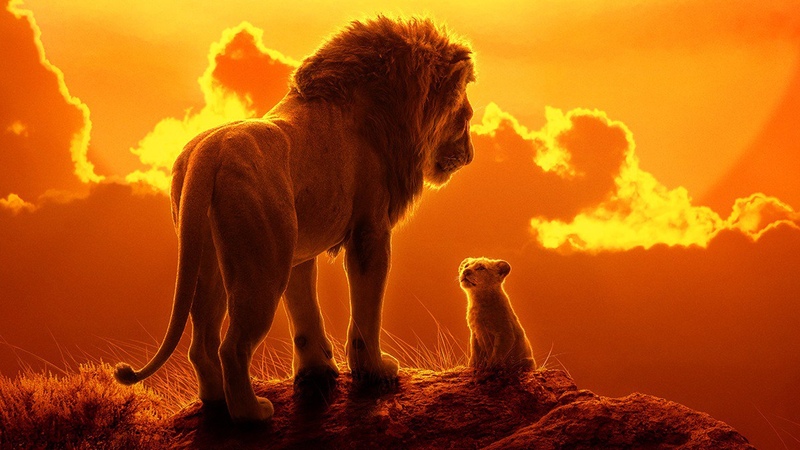 Worth mentioning is that the trailer emphasizes the movie’s star-studded cast as much as it emphasizes the stunning visuals, featuring the likes of Donald Glover and JD McCrary as Simba, Beyoncé and Shahadi Wright Joseph as Nala, James Earl Jones as Mufasa, Chiwetel Ejiofor as Scar, Seth Rogen as Pumbaa, Billy Eichner as Timon, John Kani as Rafiki, John Oliver as Zazu, Alfre Woodard as Sarabi, and Florence Kasumba, Eric Andre, and Keegan-Michael Key as Shenzi, Azizi, and Kamari (the latter two being renamed versions of Ed and Banazi from the original film; the creative team decided to give those characters Swahili names to stay consistent with the rest of the cast). In addition, Amy Sedaris plays an elephant shrew character that was not present in the original film. The Lion King is set to conquer theaters on July 19, 2019.